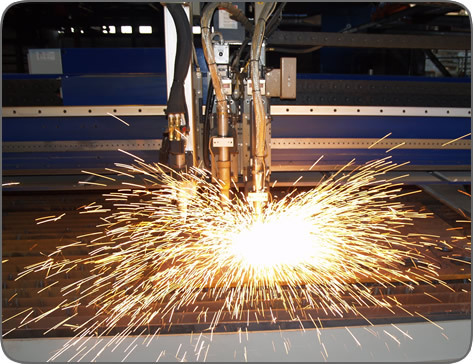 With our state of the art Messer Titan II Plasma/Oxyfuel burning machine & our Messer Metalmaster Plus Plasma Machine, we are able to burn your custom plate requirements and fulfill your needs when YOU want it!!! We stock material from 16 gauge sheets to 4" plate!! Need a CAD drawing?? Not to worry, our staff is ready to assist in creating an AutoCad drawing for you. Most drawings can be completed & processed plates can ready for next day service. You need it, we deliver it!!!! !